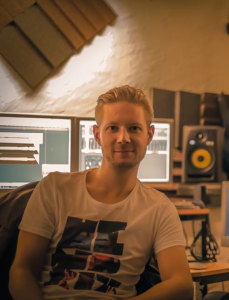 Martin Svensson is a composer/arranger, producer & recording engineer based in Malmö, Sweden. As a composer Martin has been working with a wide range of styles throughout the years – from contemporary concert music to commercials to writing pop songs. Most notably he cowrote “In my blood” performed by Natalia Druyts that was the theme song for the TV-show “Empire” in Europe. As an arranger and orchestrator he’s worked on productions for Korea’s adaption of American Idol and productions for SM Entertainment expos of K-pop. Currently Martin’s working on the music for a short film and is putting the final touches on a piece for alto guitar and electronic with Swedish concert guitarist Stefan Östersjö, set for its premier in early 2019.